Food Network 5.5-qt. 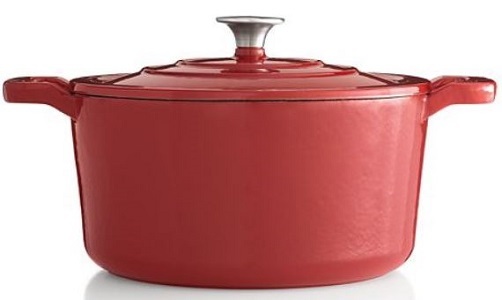 Enameled Cast-Iron Dutch Oven Only $33.99! Choose from free in-store pickup or free shipping on orders of $50 or more. You’ll also get $15 in Kohl’s Cash for every $50 you spend. Find more online deals here. Pretty enough to go from oven to table; perfect for stews, chilis and braises. Cast-iron core retains heat and cooks evenly. Basting spikes in the lid control moisture, keeping food juicy.